Many people would be surprised at just how many children are living in a “traditional” family setting (“traditional” referring to two married heterosexual parents their first marriage)—in fact changing what we think of as “traditional.” According to the Pew Research Center, less than half of U.S. kids today live in a traditional family, household sizes are getting smaller, and some families do not necessarily include married parents. This change in the landscape of the American family naturally carries with it some legal ramifications when it comes to legal agreements and planning for your family’s future. Existing tax regulations and schemes were first formulated around the traditional American family, and this often trickles down to related areas of financial planning, such as investments. This can make financial planning for your family’s future daunting. For example, if you have children from another marriage and you are trying to figure out inheritance planning, it can be difficult determining what exactly is “fair.” And this can be especially difficult for families that are also navigating through divorce and child custody issues at the same time. Bringing up these topics is usually very difficult, no matter what the circumstances. The benefit of having a prenuptial agreement for a second or subsequent marriage is that it can allow for you to come to the table with preexisting plans for how you will distribute assets amongst your children from your first marriage (and the same can be said for a postnuptial agreement). In the context of premarital agreements, Florida law defines property very broadly as including (but not limited to) an interest—whether present or future, legal or equitable, vested or contingent, real or personal, tangible or intangible, and including income and earnings (both active and passive). This generally allows for parties to contract for whatever arrangements they would like (provided they are, of course, legal). Although parties to a premarital agreement may contract with respect to the ownership rights in and disposition of the death benefit from a life insurance policy, it is important to note that wills do not govern who is the beneficiary on life insurance policies and retirement accounts. Thus, if you remarry, you have to update the beneficiary for these accounts separately. Since establishing her law firm in 2001, Florida attorney Sandra Bonfiglio has dedicated her career to all aspects of family law. 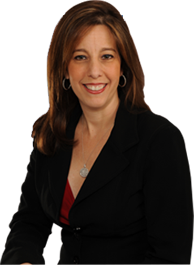 A large part of her practice is helping families in Fort Lauderdale, Boca Raton, and Broward County navigate the divorce process and the resolution of child custody, support issues, and alimony and property division. She also represents clients in guardianship litigation, stepparent adoptions, and LGBT adoptions. Whether you are seeking guidance on prenuptial agreements, divorce, child custody, or any related areas of family law making legal arrangements for family-related issues, Sandra Bonfiglio is committed to helping you through the process. Contact her office in Fort Lauderdale to learn more about her services.